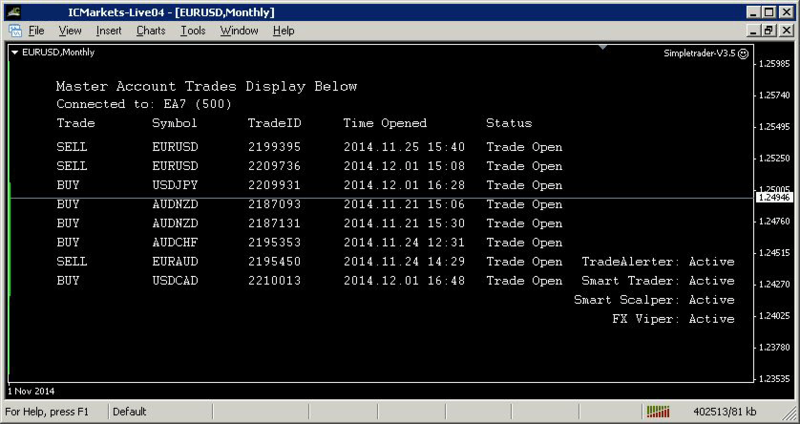 Screenshot of Optimized MetaTrader 4 terminal using MetaTrader 4 SimpleTrader EA Signals Copier. In this guide we are going to show you few tips to optimize your MetaTrader 4 platform so it will use less computing resources (RAM and CPU). This guide assumes that you are not trading manually on your MT4 as we will turn off some MT4 functions that will disable rendering new candles. Go to: [Tools] -> [Options] (or [CTRL]+[O]). [Charts] tab and there change [Max bars in history] & [Max bars in charts] to . 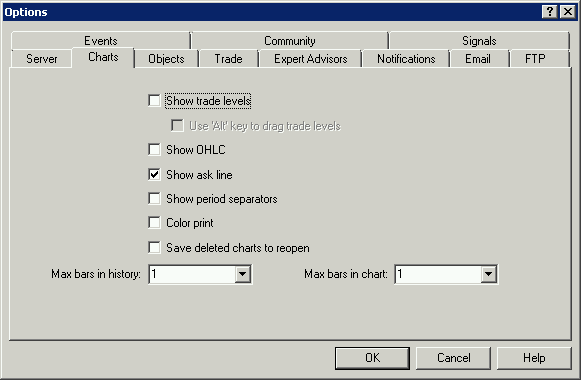 Also make sure all options are un-checked, even [Show trade levels] & [Show OHLC] should be un-checked. 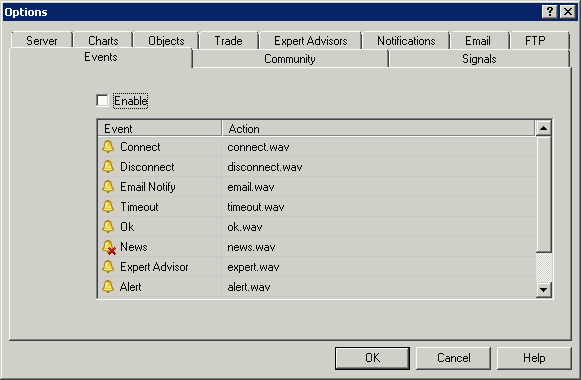 You won't be watching your charts on VPS so you don't need those functions. Go to: [Tools] -> [Options] (or [CTRL+[O]). [Server] tab and there un-check [Enable news]. We want to reduce network usage as much as we can. Go to: [Tools] -> [Options] (or [CTRL]+[O]). [Events] tab and un-check [Enable]. Hide all unnecessary symbols (those that you don't trade). In the [Market Watch] section of your MT4 - select the symbol, right click and choose [Hide]. Rendering new bars on the charts take most of computing resources so we want to reduce that to the minimum. 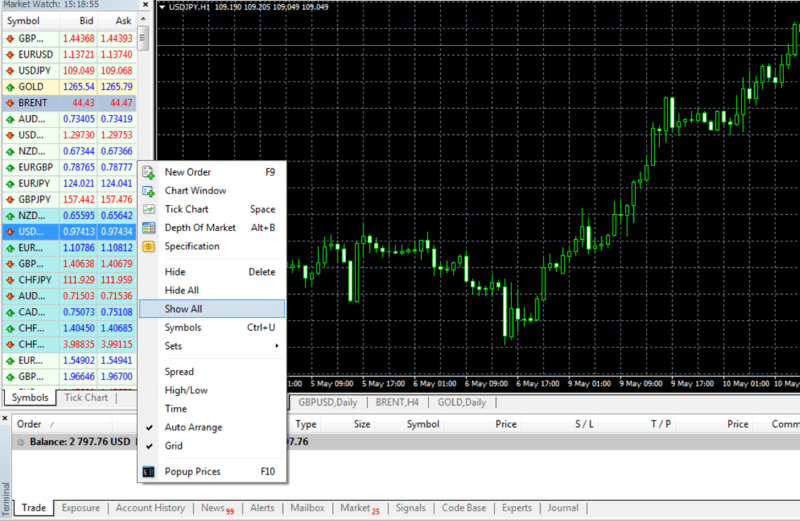 After that you should restart your MetaTrader 4 terminal so the changes are saved and will take effect.